After a disastrous fire in November 2006 a new club house was built. It was formally opened by Charles Kennedy MP in March 2008 on the occasion of the first dinghy race of the season the Frostbite. It is a modern building on the shore of Loch Linnhe. 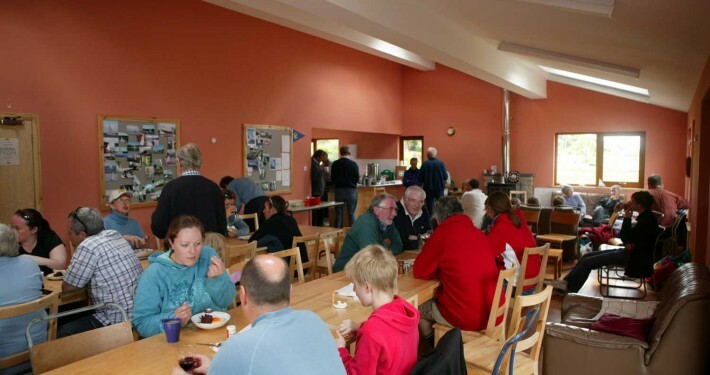 We have good changing rooms including facilities for the disabled, a large galley, and a large general use area complete with log-stove and good views across the loch. Also there is an elevated race office which makes for easy management and supervision of activities an the water. The club house is used for social functions as well as sailing events. By arrangement from time to time visitors use our facilities for a meeting or functions. 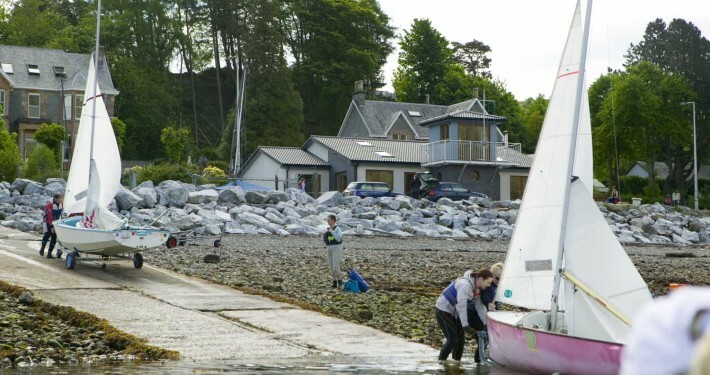 Adjacent to the club house there are 3 securely fenced dinghy parks and a car parking area – all built by the club. Also the 5m wide slipway is central and at an easy gradient. Dinghies can be launched at all states of the tide usually at right angles to the prevailing wind. Keelboats on trailers can be launched when there is half tide or more. There are 24 moorings just out from the club managed by the Achintore Moorings Owners Association. The Club also has a visitor mooring which is available on a first-come basis, and a modest nightly charge is made. For more details please contact our Hon Secretary.